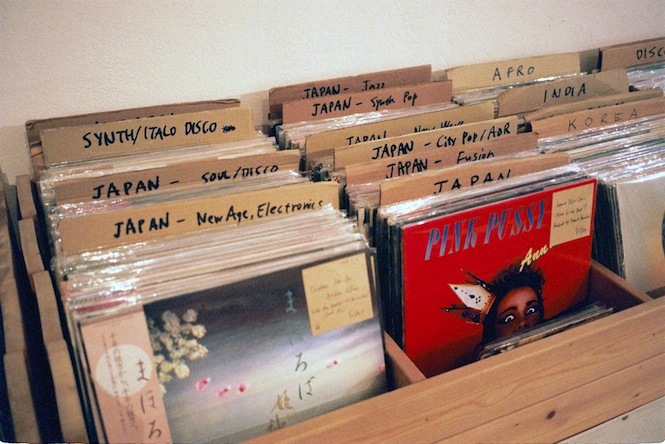 For us based over here in London, there’s something infinitely fascinating about the idea of going record digging in Japan. Having partnered with Hawaiian imprint Aloha Got Soul, and with a recent trip to Lebanon yielding a forthcoming compilation on Strut, DJ, collector and budding connoisseur Cedric Bardawil is no stranger to getting his hands dusty round the world. 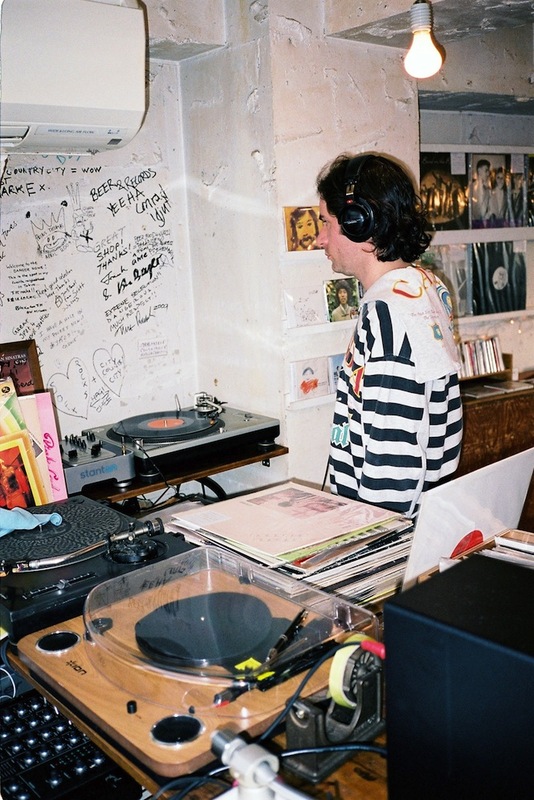 So when he told us he was heading to Japan for the first time, we jumped at the opportunity to ask Cedric to share his first impressions, insider tips and rare local finds from the country’s two major vinyl hubs. Here’s what he came back with. There’s a preconception that life in Japan is centred on minimalism, order and serenity. A visit to one of its big cities such as Tokyo and Osaka tells a different story: space is at a premium and the pace is fast. The system shouldn’t work but it does, despite the size of these cities there’s a distinct sense of order. Whilst communication can be a struggle, the Japanese often make every effort to ensure visitors are welcomed. At times its quirky characteristics prevail: parks have strict rules, as do bars and nightclubs which until recently didn’t allow dancing after midnight. These are reflections having had the opportunity to spend three weeks in the country earlier this year. 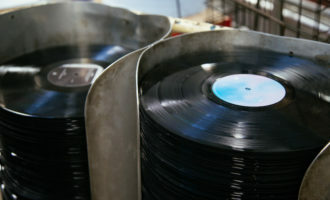 This article will focus on Tokyo’s music scene, in particular the vinyl market; it will also look at record dealers in Osaka. In both cities record shops are conveniently clustered in certain areas making them easy to hop between. Unlike Europe, opening hours are late: record shops often open at midday and close at 9pm. 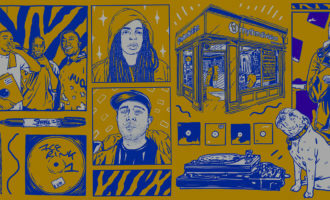 Rather than highlight shops which specialise in new dance and electronic, I’ll be exploring places that have a strong selection of local music, both old and new. Many of these dealers sell internationally through their websites; which can account for as much as 70% of their total sales, with foreign DJs and collectors particularly interested in Japanese music. Following a 12-hour redeye flight from London to Tokyo a young collector I’d met through Aloha Got Soul greeted me at Shibuya station, we went to return some music CDs he’d borrowed from Tsutaya Daikanyama before carrying on to local record shops. We started with a stop at Disc Union (Shibuya), the largest chain of record shops in Japan, the basement had a good selection of jazz, soul, funk and rare groove, the second and third floor had more used records, mainly pop and rock, the fourth floor, new releases and the fifth, which we admittedly didn’t venture up to was signposted with punk and heavy metal. There are over 20 branches of Disc Union in Japan, perceived by local diggers as the supermarket for used records you’ll often find records cheaper here than anywhere else. Around the corner, HMV recently opened a second hand shop, the first floor is dedicated to rock and pop whilst the second floor covers jazz, soul, reggae and world music, there were quite a few cassettes to be found here in addition to a well curated selection of vinyl. The jetlag had kicked in at this point, we stopped for coffee before moving onto Face Records. Proudly owned and run by Mr. Takei the shop has around 3,000 records, mainly jazz, soul and funk. Operating as a mail order business since 1994 and open in Shibuya since 1996 we found a small but strong selection of Japanese records, a couple of highlights were: Sadistic Mika Band LP (1973) and Minako Yoshida – Light’n Up (1982). A short train journey away from Shibuya this neighborhood has lots of independent businesses: vintage clothing shops, record shops, second hand furniture outlets, bars and theatres. On the streets you’ll notice a vibrant crowd, many of whom are students and young creatives. 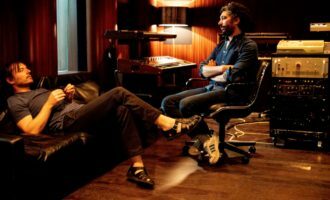 Here I met with Tokyo-based connoisseur, Jérôme Qpchan and Belgian super DJ, Raphael Top Secret to go record digging. Our first stop was City Country City, a record shop with a pasta cafe and bar. The record selection was well organized and curated, there were two listening decks and plenty of space to move around. The shop reminded me of Red Light Records in Amsterdam, nicely presented and a pleasure to spend time in. Musically you’ll find interesting jazz, soul, funk, boogie, disco as well as house, electronic, balearic, synth pop, new wave, world records. They had a solid selection of Japanese records, including a local pressing of Long Summer Days (1984) a Hawaiian LP by Island Band I’d never heard or seen before, with Mike Lundy on vocals and guitar. After a sit-down lunch and a few hours in the shop we headed to Humming Bird, a small second hand shop with a record selection centered on Japanese music. 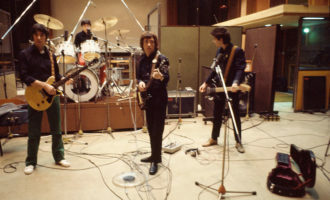 We spent about 20 minutes in the shop before asking the owner to listen through an LP, he began to loose his patience as I asked him to skip through the tracks and eventually stopped playing it. 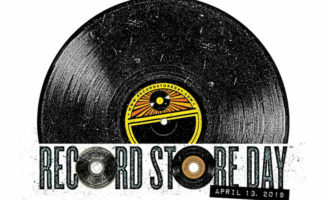 This was a shame as they had some good records, all well priced. 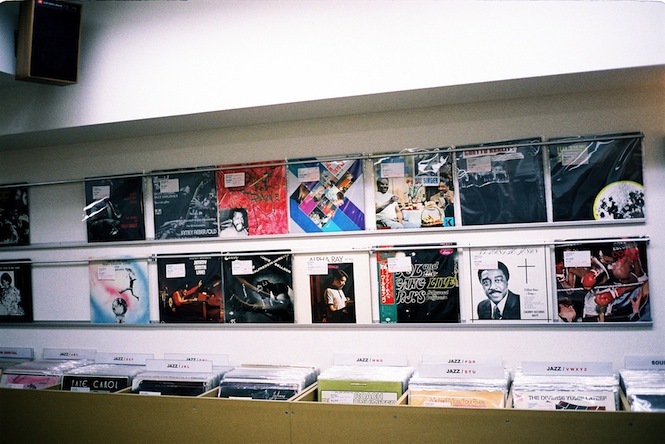 We then headed to the local Disc Union (Shimokitazawa), amongst many locals this is seen as the favorite branch; unlike the Shibuya shop everything is laid out across one floor, the selection is vast and often you’ll find multiple copies of the same record in different condition. Here I found Tatsuro Yamashita’s overlooked soundtrack Big Wave (1982) for the equivalent of £2, Raphael found some sought after ’90s house records. We finished the day listening to records and drinking Japanese Whisky at the Little Soul Cafe. 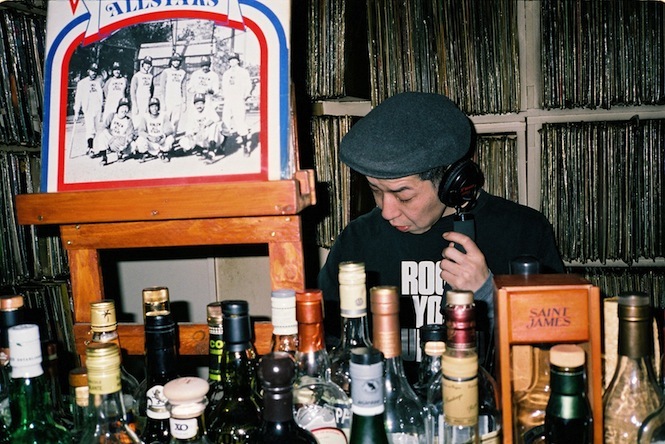 The owner has over 15,000 jazz, soul, funk records crammed floor to ceiling in a small second floor bar, between mixing records he’s serving the public drinks and snacks. After a couple of drinks we asked if anything was for sale, specifically the Tomorrow’s People – Open Soul LP (1976) he’d played us earlier in the evening. Moments later he returned with a few boxes of records from his personal collection, here we found some US soul and disco classics, although not the LP we were hoping for. 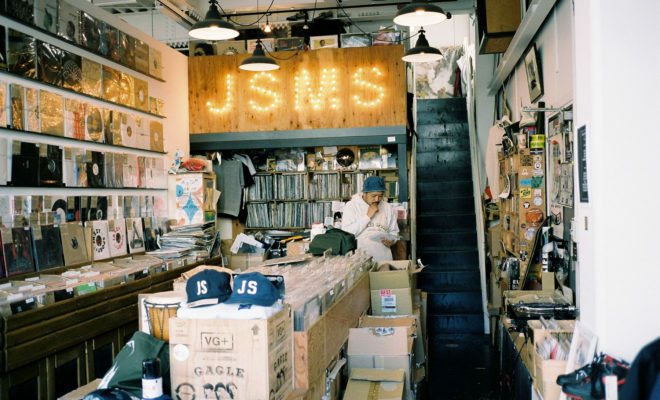 Better known in the Western world as a record label and DJ ensemble, Jazzy Sport is also a record shop and distributer based in Meguro. 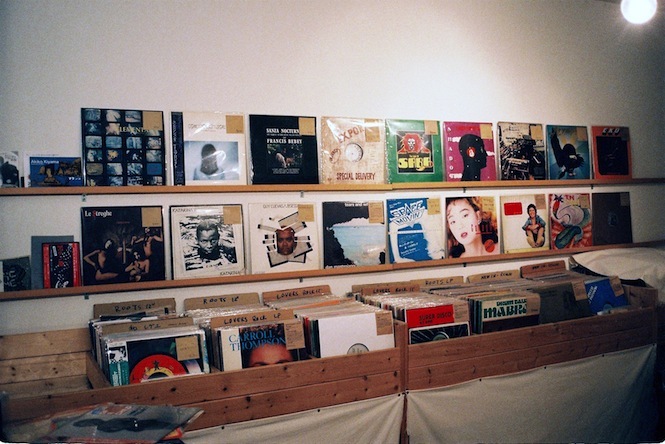 Here they had an extensive selection of new releases, including records by label artists: DJ Mitsu The Beats, DJ Nature, Cro-Magnon, in addition to releases from other local labels and good selection of new imports. 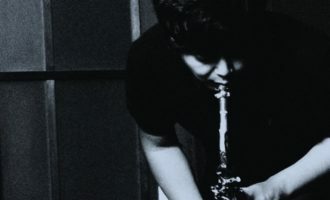 Whilst browsing the shop I heard a beautiful piano led LP, Takumi Kaneko – Unwind (2013) on the Jazzy Sport label as well as some obscure edits including Getting Over (2015) by DJ Muro on the 7” series ‘I LOVE 45s. 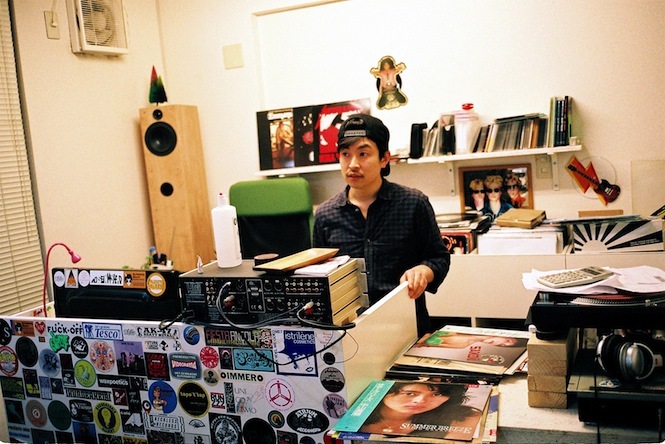 Another DJ run shop, Universounds in Kōenjiminami is owned by DJ Ryuhei The Man. 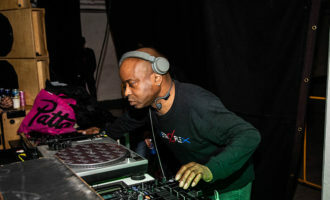 Known for his funk sets at The Room and production with Q.A.S.B. 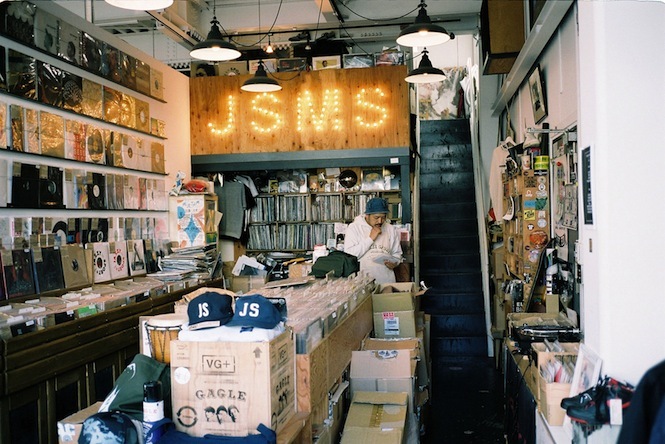 his shop focuses on soul, funk and jazz. 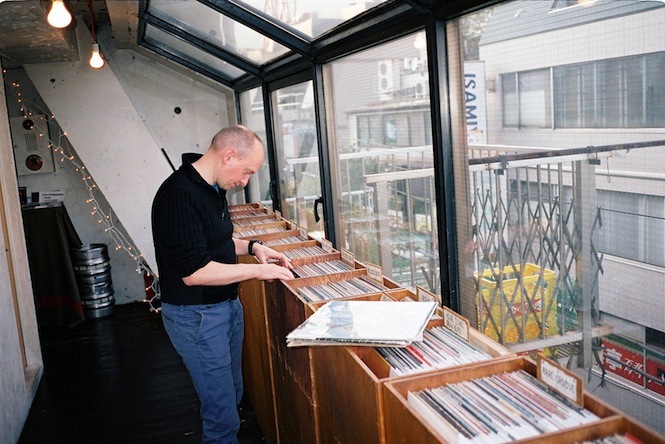 A nicely curated selection and personal service, we went through some of the Soul Garden releases before moving onto some re-issues on fellow DJ Daisuke Kuroda’s label Kickin. 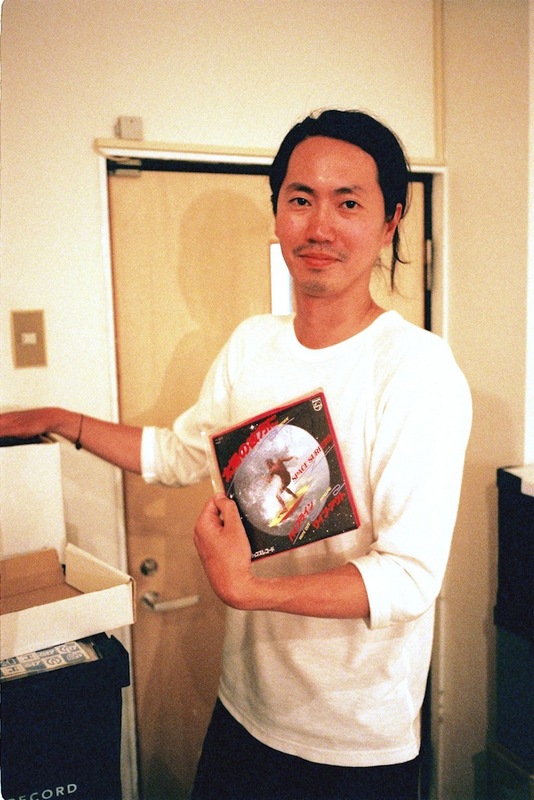 He pulled out a copy of Natural High – ‘You Make Me So Happy‘ (2015), which I’d heard played by Daisuke a few days earlier at The Room and now released for the first time since 1979 on a 7” record. The final record shop in Tokyo I’d like to mention is Coconuts Disk in Ekoda. 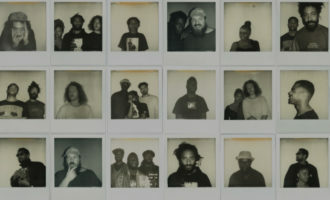 There are four branches across the city; this particular one seems to have built a reputation with local DJs for having a steady supply of interesting and undiscovered records. For a moment I had the feeling of being at a flea market, there was a lot to listen to and the prices were tempting. The shop had a broad selection of 2nd hand records, a listening booth and was particularly strong on Japanese records and pressings of US / European releases, here I found a clean copies of Yumi Matsutoya –悲しいほどお天気 (1979) and Takashi Toyoda – Mandomange (1982). 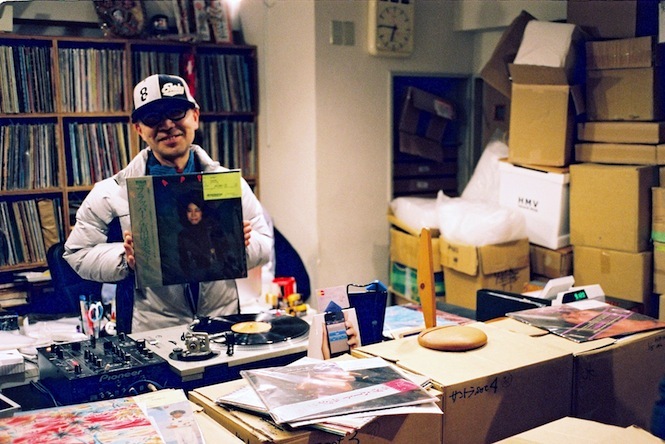 Friends Eiji and Norio run respective record shops in the Shinsaibashi area of Osaka. The first stop was Revelation Time, run by Eiji Tanaguchi. Similar to City Country City records, you’ll find a diverse range of records from Japanese cosmic to Turkish psych, the difference here is Eiji has a brilliant ear for music and saved hours of digging by pulling out exactly what I was interested in at the time. We sat down over a coffee and began listening through his shop system. Once we were finished, he shared a few of his own records including Space Surfers – Movin’ (1978) and stories of nightlife in Osaka. I carried on to Norio Sato’s Rare Groove, located around the corner. Rare Groove shares the same musical diversity as Revelation Time, owner Norio is a respected DJ who runs the Osaka-based party ‘Metro’, some of the recommendations I left the shop with were records he’d tried and tested on the dance floor, others more for listening back to such as Hiroshi Sato ‎– Orient (1979). 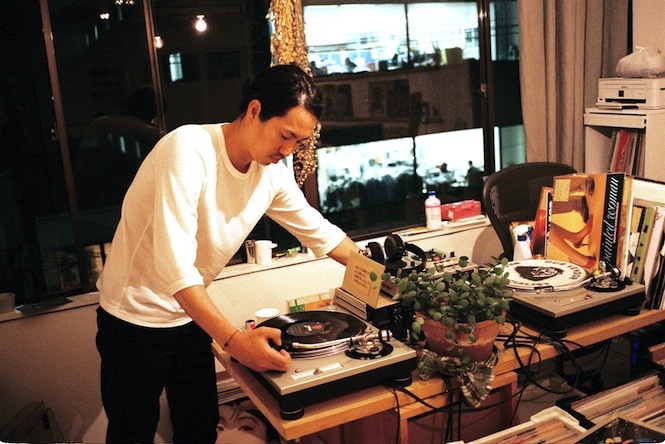 Again a very personal service here, Norio keeps his website and Instagram feed up to date with recommendations, selling the majority of his records online.